NEW YORK (CBS) Betty White is speaking out in favor of gay marriage. The 88-year-old actress, who gained newfound cult icon status in the aftermath of her Super Bowl commercial and Emmy-winning "Saturday Night Live" hosting stint, said she believes everyone should have the right to say "I do." "I don't care who anybody sleeps with," she told Parade magazine. "If a couple has been together all that time - and there are gay relationships that are more solid than some heterosexual ones - I think it's fine if they want to get married. I don't know how people can get so anti-something. Mind your own business, take care of your affairs, and don't worry about other people so much." 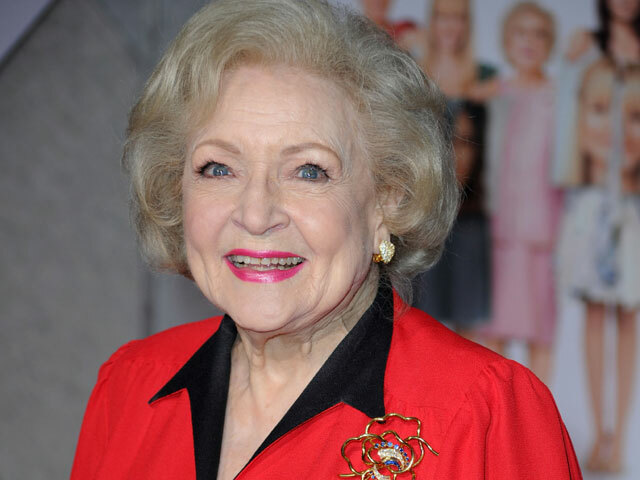 White's status as a gay icon dates back to her role as Rose on "The Golden Girls," the magazine noted. When asked about the phenomenon, she explained, "Gays love old ladies." The actress also discussed her jam-packed schedule (she gets up at 6 every morning and goes to bed at 1:30 a.m.), whether or not she still drives ("Of course!" she said) and her taste in men. "I've always liked older men," she told the magazine. "They're just more attractive to me. Of course, at my age there aren't that many left!"